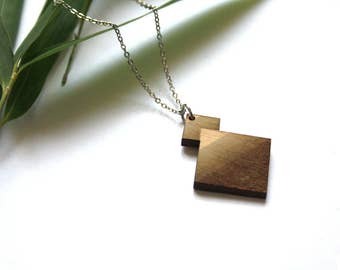 Wooden geometric necklace inspired by Memphis design. 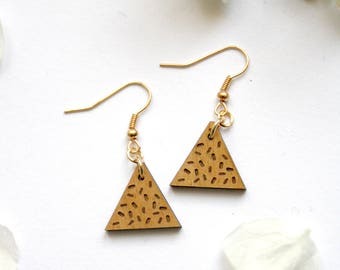 Graphic jewel with chips nugget pattern. 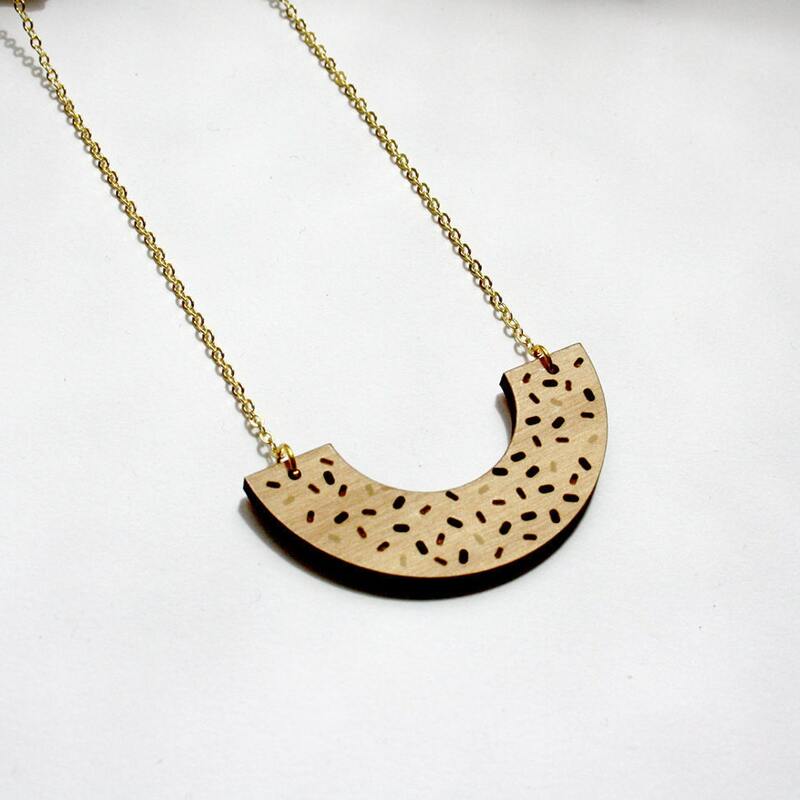 ▲ Wooden arc shape necklace. Shapes are laser cut and laser engraved, then assembled by hand. Original jewel made and designed in France. ▲▲▲ Metal chain in brass, gold color: 21 cm = 8,26 inch each side (total: 42 cm = 16,53 inch). 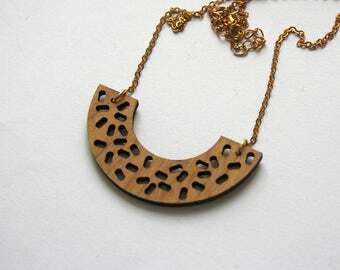 Wood size: 5,6 cm (large) x 3 cm (hight) = 1,9 inches x 1,18 inches approximately.